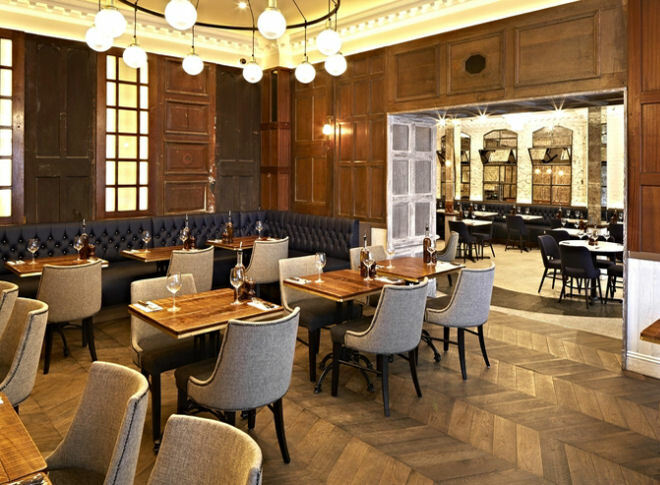 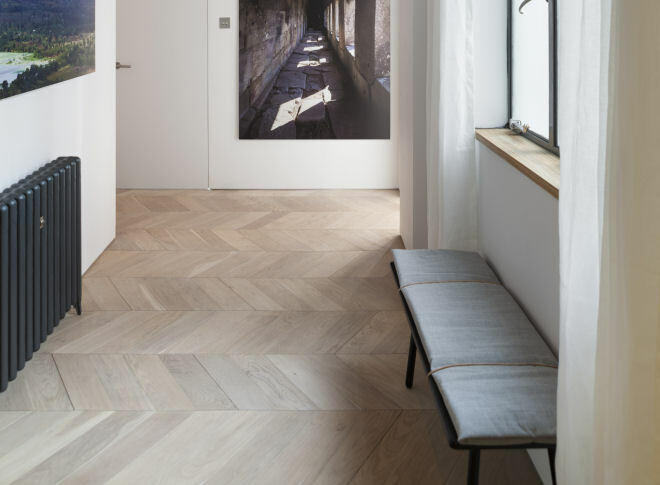 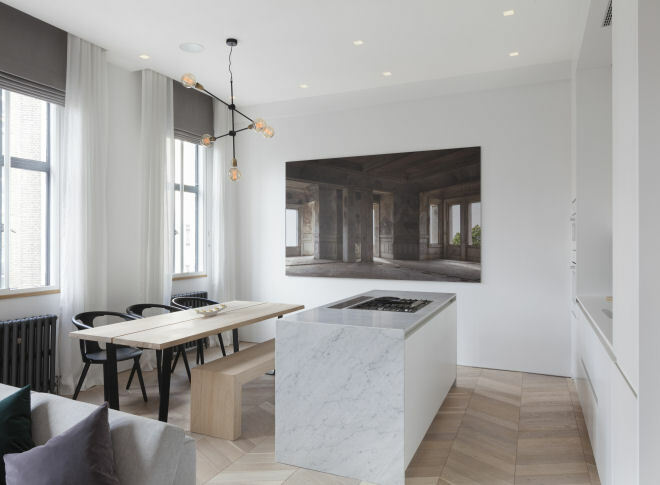 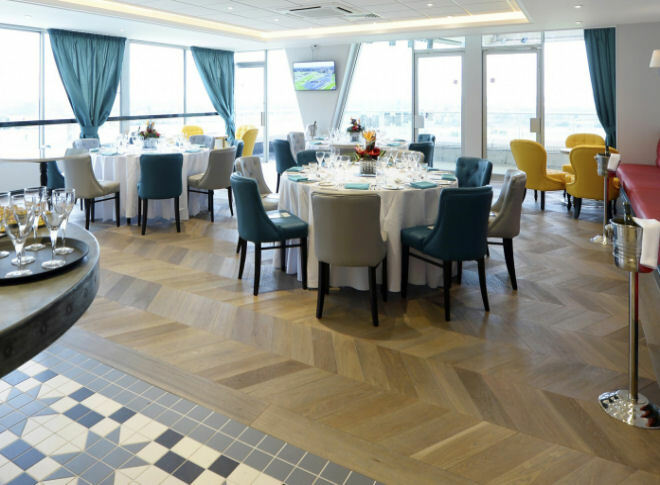 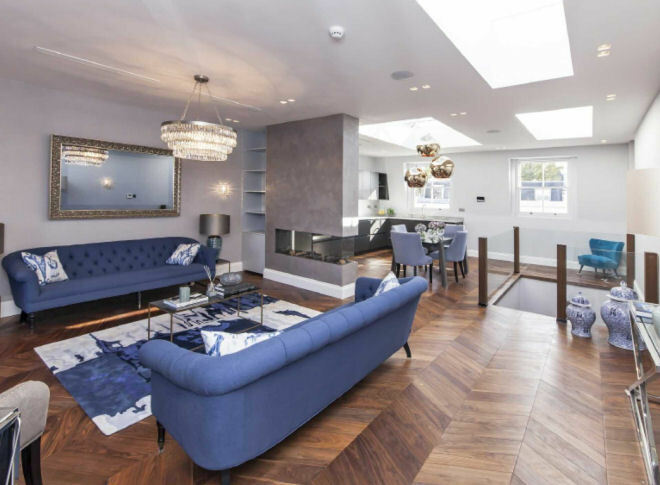 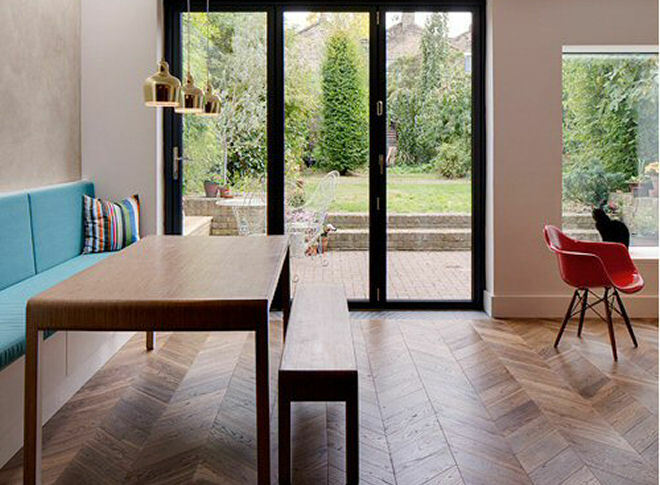 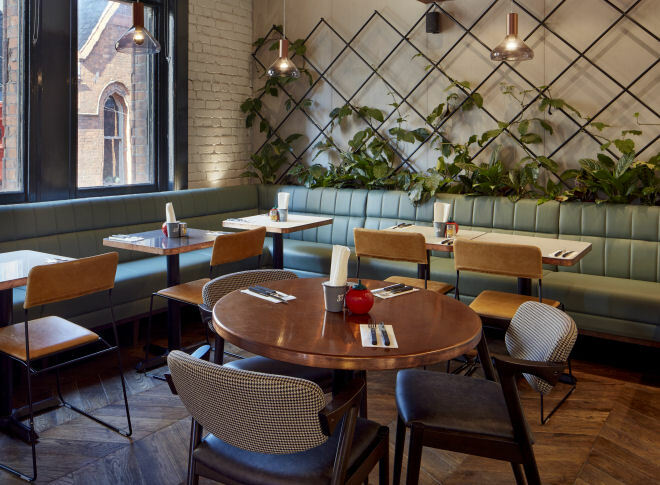 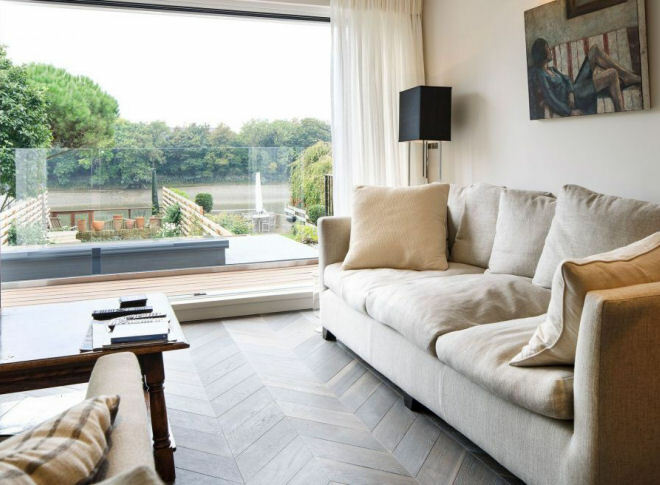 Our chevron wood flooring has previously been used almost exclusively on commercial projects but is now becoming a popular alternative to a herringbone parquet style in the home. 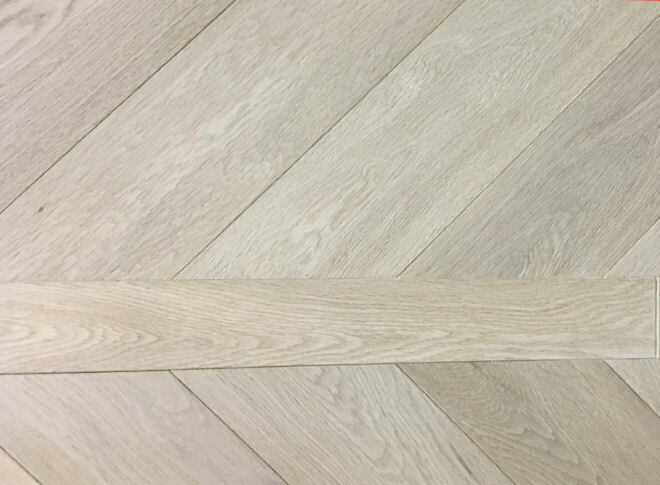 Ours is made using a 4 mm solid oak wear layer with a lightly brushed surface to expose the grain together with heavyweight multi ply base. 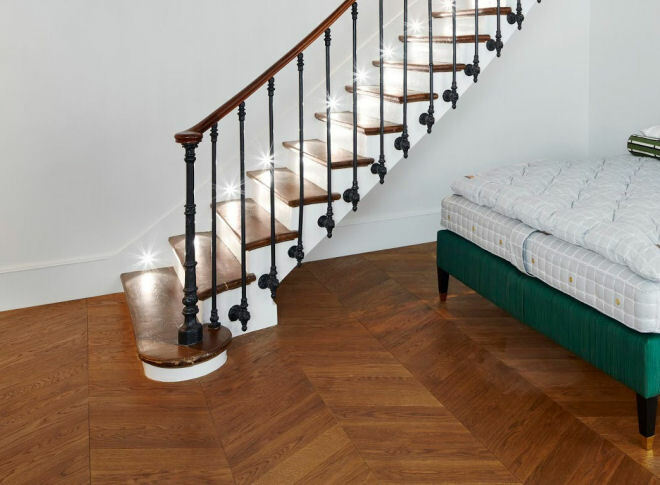 This ensures the ultimate in stability even when fitted in conjunction with underfloor heating provided that this is correctly programmed and regulated. 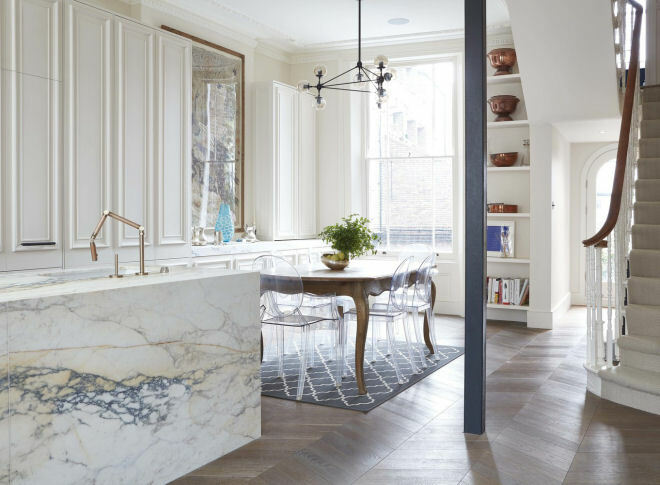 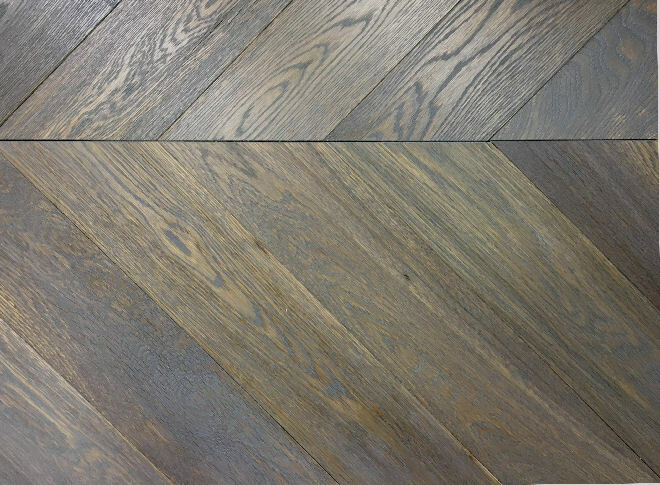 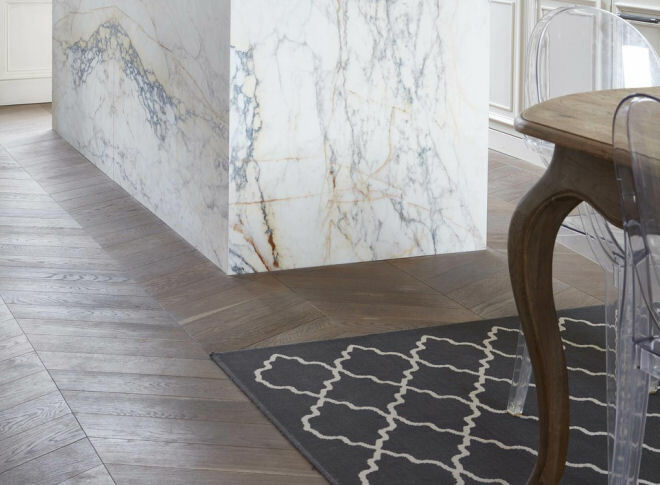 As the chevron wood flooring is held in stock in it’s unfinished state, we can emulate a centuries old floor by hand scraping and then distressing the surface and edges to give an antiqued style and feel. 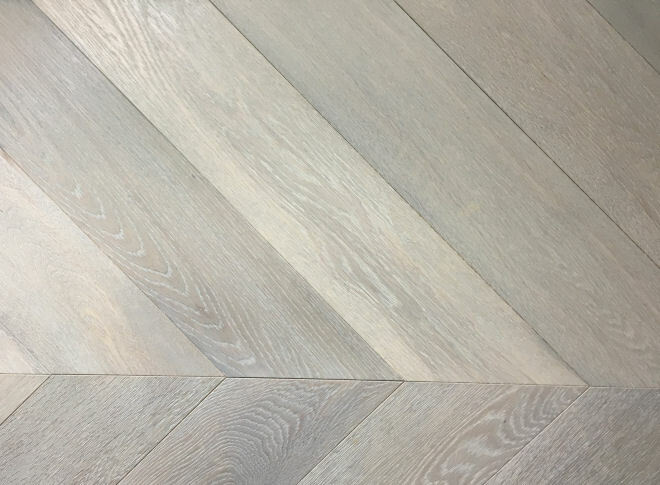 Band sawing which is a technique of making surface cut marks in the oak is another popular option that can be offered at reasonable cost before the final finishing. 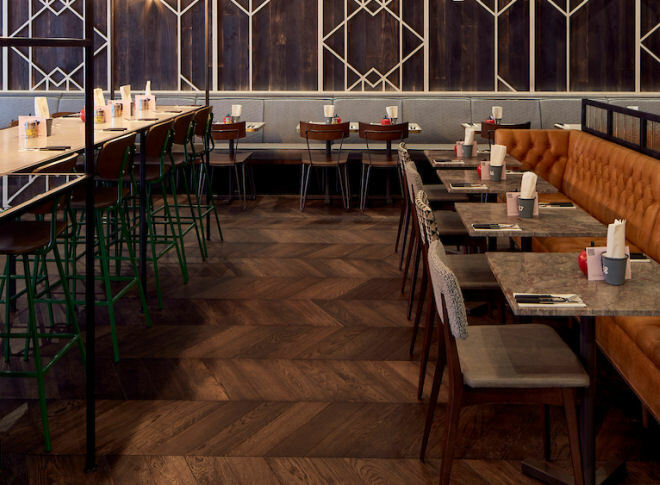 As standard, the flooring is supplied pre-finished with a durable hard wax oil finish for a natural appearance, minimal maintenance, easy care and repair. 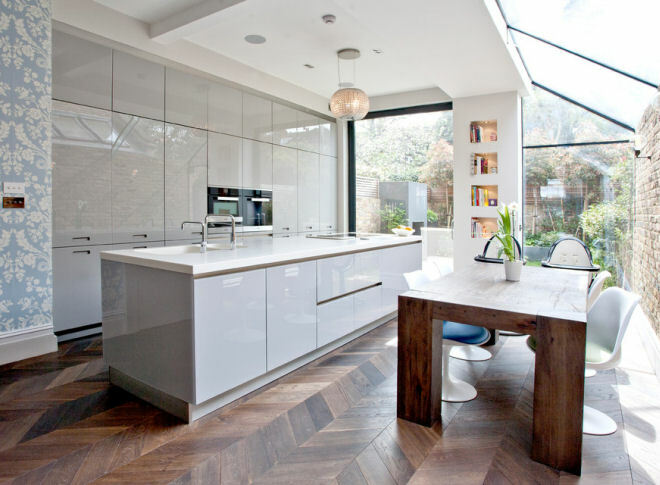 In certain shades we can supply the chevron flooring with a non sheen polyurethane lacquer finish. 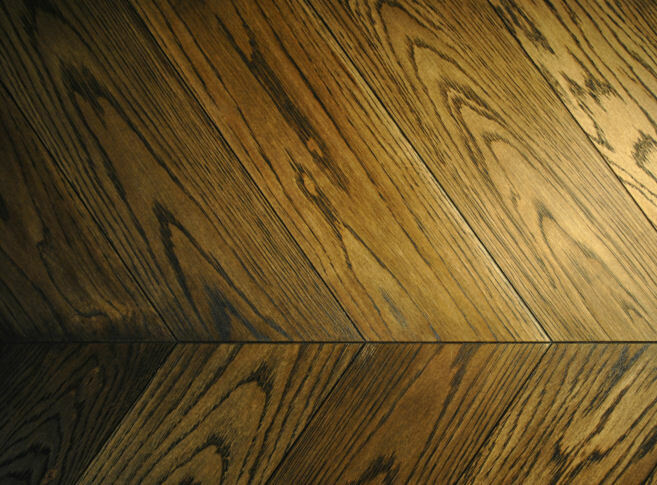 The flooring is suitable for both residential and commercial installations. 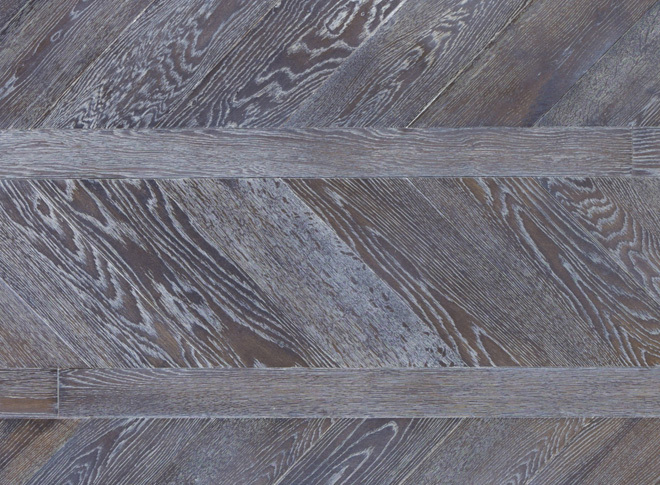 For areas where high levels of moisture are expected, a water resistant final oil treatment can be applied during production. 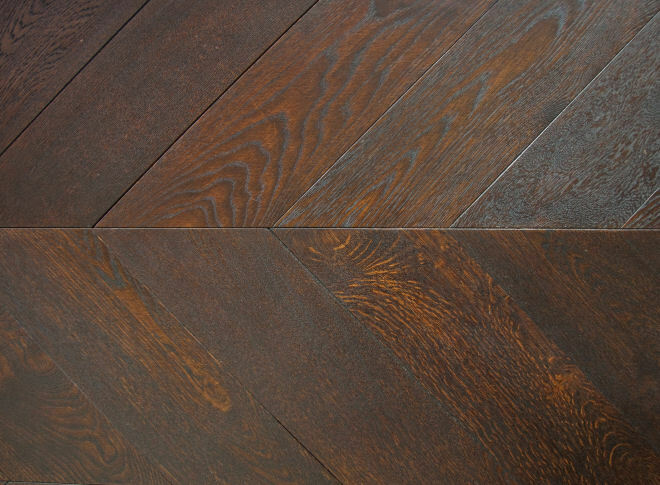 The engineered construction enables the flooring to be installed quickly and easily. 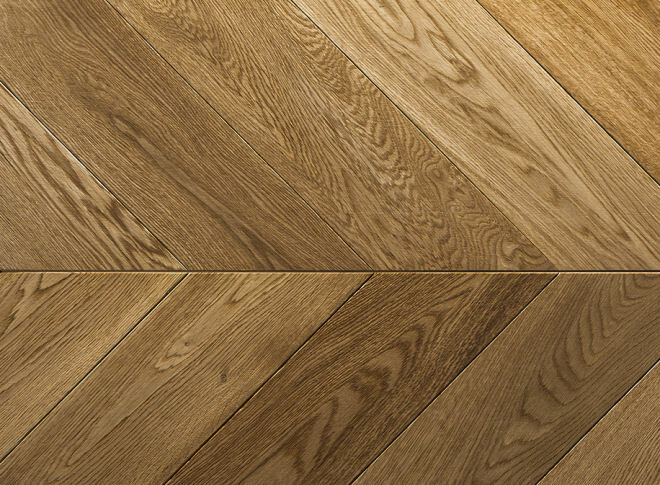 The chevrons can be bonded to the sub-floor with a flexible adhesive. 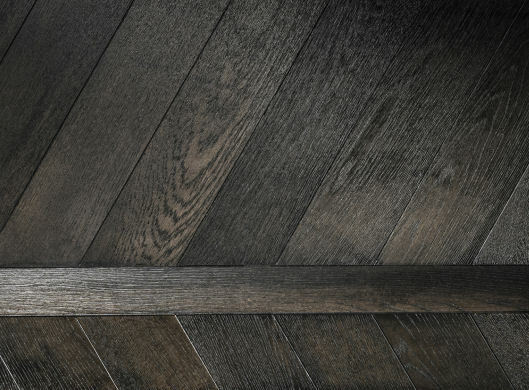 Alternatively installed floating over a rubber and fibre underlay like an engineered hardwood plank with the joints bonded with a PVA adhesive. 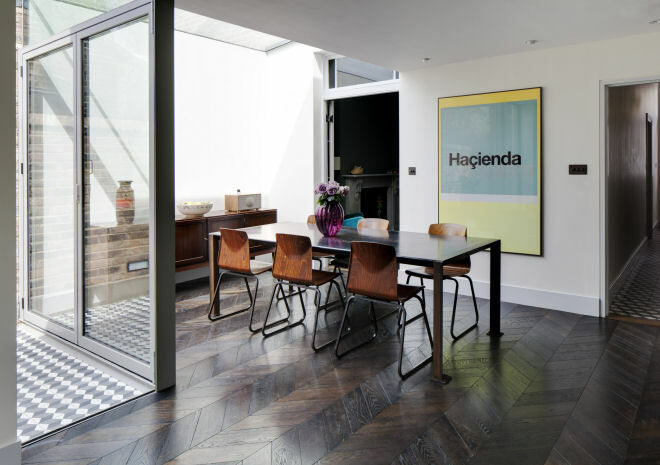 The parquet flooring is hand made in individual blocks that tongue and groove together. 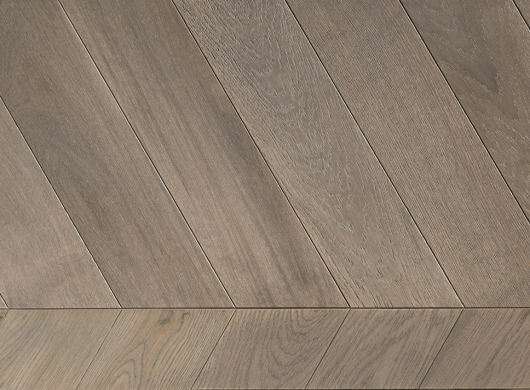 However it has been precision cut and calibrated to extremely high standards of accuracy. 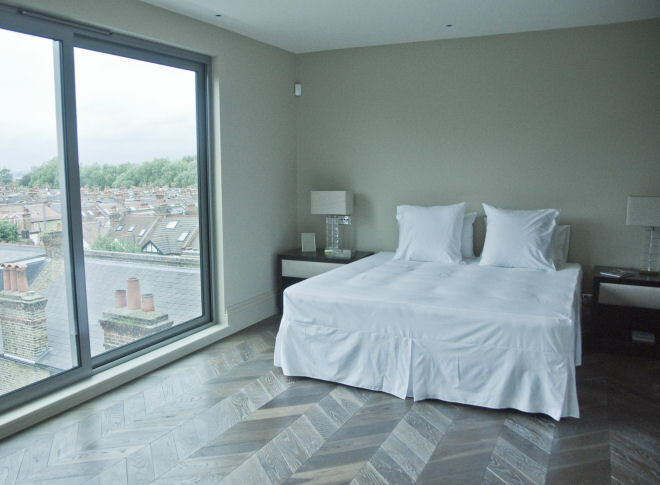 It will enable an installer to deliver a high quality finish even for the most demanding clients. 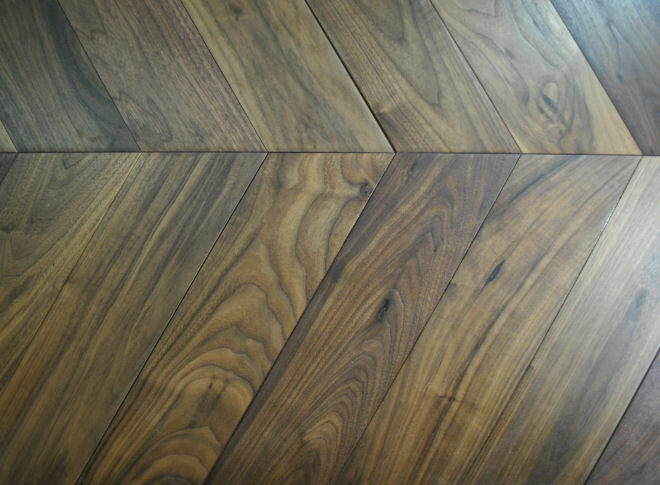 70mm width stripping can be used between each run of the chevrons to give a greater emphasis to the width of the room. 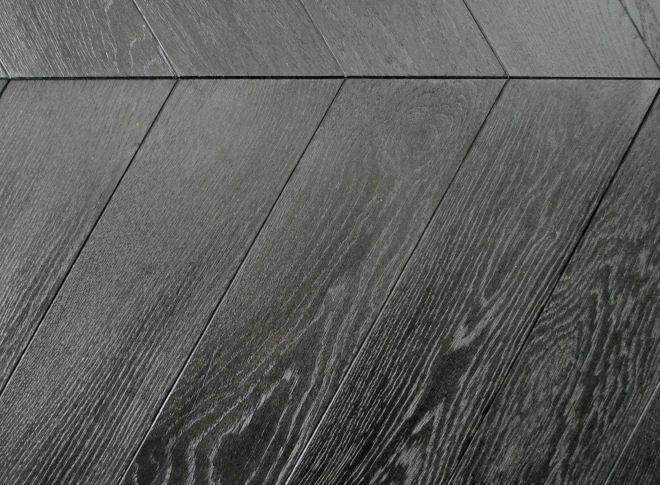 Available with optional 70mm spacer strip. 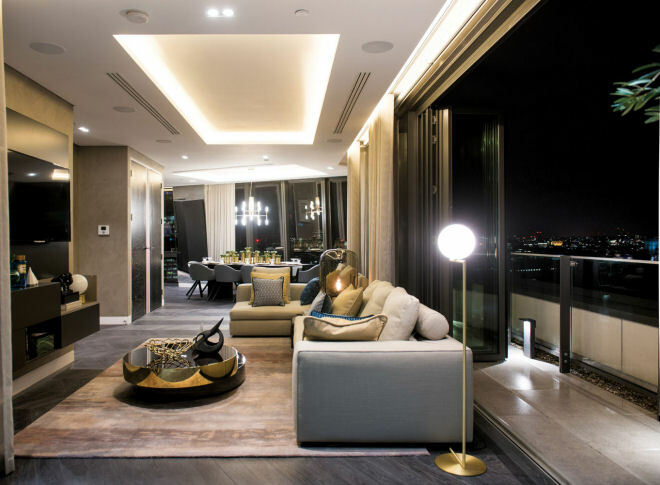 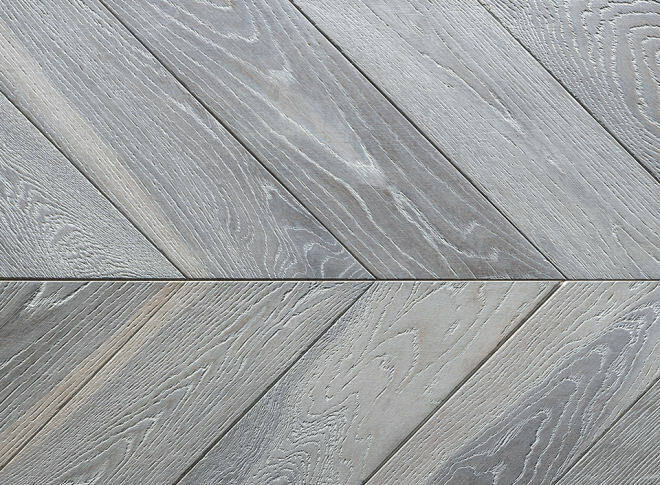 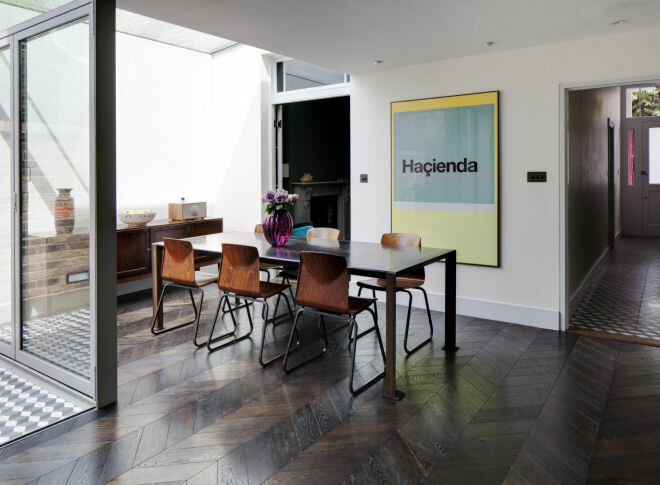 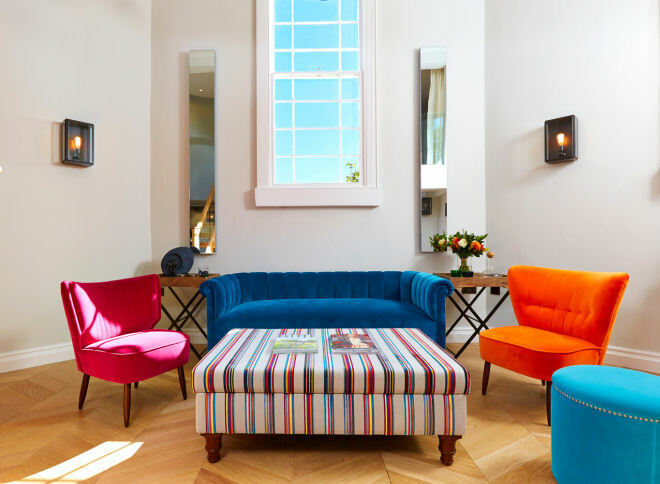 To see further images of our chevron flooring installed , please visit our HOUZZ site.